I found this key and loved all the unique shape of it. 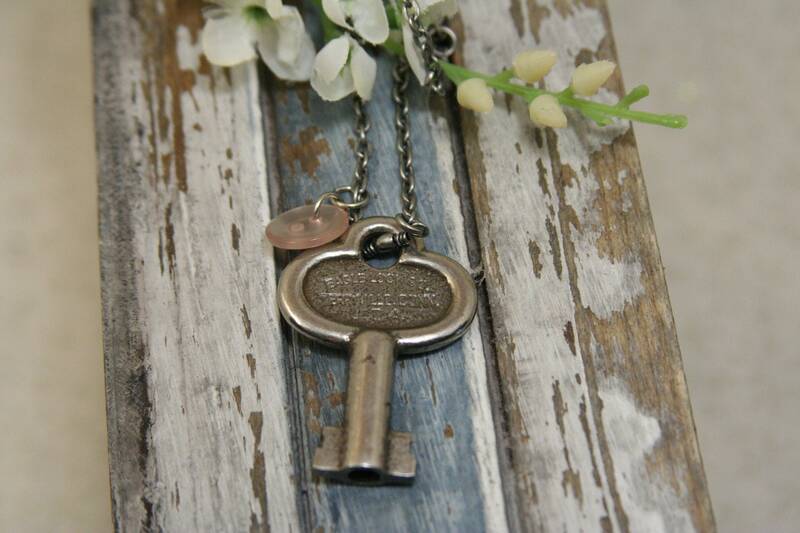 The fact that it is a clock key added more allure for me. Added to this wonderful silver chain, this would be a great gift for anyone. It is matched with a pale peach button that can be switched out for any color. It is on a nice unique silver chain that measures at 18 inches from end to end. Folksy :: Buy "Little Sterling Silver Button Ring - Size M"
Folksy :: Buy "Silver button pendant"
Folksy :: Buy "Inspirational Little Tweet Necklace"
Folksy :: Buy "Silver Moonstone Daisy Pendant Necklace"